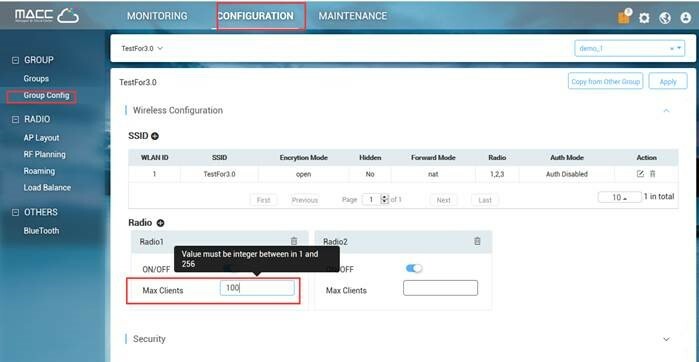 ruijienetworks»Forum › ALL › Wireless › How to modify the STA-limit of the ap? How to modify the STA-limit of the ap? If the AP is managed by MACC, you may Choose Configuration——Group Config——Radio to edit the Max STA Count.